Glaucoma is a group of diseases that produces increased pressure within the eye, in most cases. This pressure is caused by a backup of fluid in the eye that causes damage to the optic nerve, over time. Any disturbance for the flow of the aqueous humor can raise the Intra Ocular Pressure (IOP) of the eye. Unless the pressure at the front of the eye is controlled, it can damage the optic nerve and cause vision loss. Blacks over 40 years of age. Everyone over 60 years of age. Initially, open-angle glaucoma has no symptoms. Vision stays normal, and there isn’t any pain. As glaucoma remains untreated, people may notice that although they see things clearly in front of them, they miss objects to the side and out of the corner of their eye. Without treatment, people with glaucoma may find that they suddenly have no peripheral (side) vision. It may seem as though they are looking through a tunnel. Over time, the remaining central distance vision may decrease until there is no vision left. Vision with glaucoma normal vision. Although open-angle glaucoma is the most common type, some people have other types of this disease. In low-tension or normal-tension glaucoma, optic nerve damage and narrowed peripheral vision occur unexpectedly in people with normal eye pressure. In closed-angle glaucoma, the fluid at the front of the eye cannot reach the angle and leave the eye because the angle gets blocked by part of the iris. People with this type of glaucoma have a sudden increase in pressure. Symptoms include severe pain and nausea as well as redness of the eye and blurred vision. This is a medical emergency. The patient needs immediate treatment to improve the flow of fluid. Without treatment, the eye can become blind in as little as one or two days. Usually, prompt laser surgery can clear the blockage and protect sight. In congenital glaucoma, children are born with defects in the angle of the eye that slow the normal drainage of fluid. Children with this problem usually have obvious symptoms such as cloudy eyes, sensitivity to light, and excessive tearing. Surgery is usually the suggested treatment. If surgery is done promptly, these children usually have an excellent chance of having good vision. Secondary glaucoma can develop as a complication of other medical conditions. They are sometimes associated with eye surgery or advanced cataracts, eye injuries, certain eye tumors, or uveitis (eye inflammation). One type, known as pigmentary glaucoma, occurs when pigment from the iris flakes off and blocks the meshwork, slowing fluid drainage. A severe form, called neovascular glaucoma, is linked to diabetes. Also, corticosteroid drugs—used to treat eye inflammations and other diseases—can trigger glaucoma in few people. Treatment is through medicines, laser surgery or conventional surgery. Most people think that they have glaucoma if the pressure in their eye is increased. This is not always true. High pressure puts a person at risk for glaucoma. Whether or not they have glaucoma, depends on the level of pressure that their optic nerve can tolerate without being damaged. Although normal pressure is usually between 12-21 mm Hg, a person might have glaucoma even if the pressure is within this range. Visual acuity: This vision test measures how well you see at various distances. Visual Field: This test measures your side (peripheral) vision. It helps your eye care professional find out if you have lost any peripheral vision, a sign of glaucoma. Pupil dilation: This examination provides your eye care professional with a better view of the optic nerve to check for signs of damage. Your eyes will be dilated with drops and after examination your near vision may remain blurred for few hours. Tonometry: This standard test determines the fluid pressure or Intra Ocular Pressure (IOP) of the eye. Although there is no cure for glaucoma, treatment can often control it. This makes early diagnosis and treatment important. In common practice, medication is recommended for newly diagnosed glaucoma. However, new research findings show that laser surgery is a safe and effective alternative. Medicine: Medicines – either eye drops or pills – are the most common early treatment for glaucoma. Some cause the eye to make less fluid, whereas others lower pressure by helping fluid drain from the eye. Laser surgery (also called laser trabeculoplasty): Laser surgery helps fluid drain out of the eye. Although this may be suggested at any time, it is usually done after trying out treatment through medicines. In many cases, glaucoma drugs have to be taken even after laser surgery. 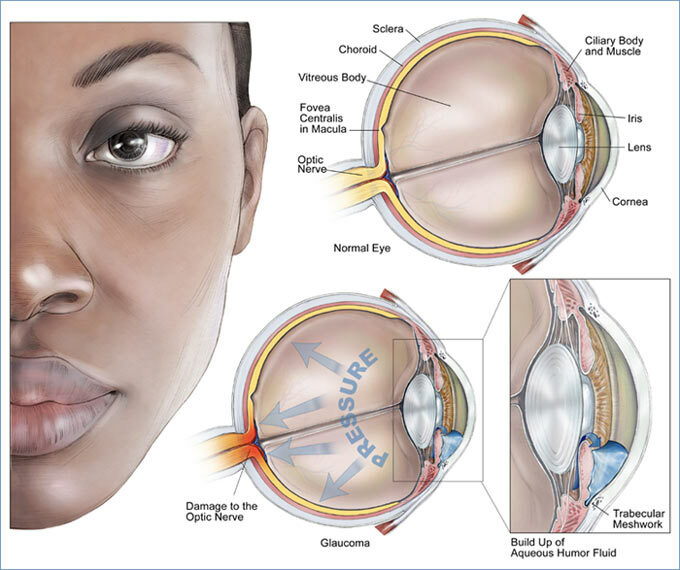 Conventional surgery: The purpose of surgery is to make a new opening for the fluid to leave the eye. This surgery is often done after medicine and laser surgery have failed to control pressure. The eyes have been a fascination for eons. They are the mirrors to our soul and poets have rightly romanticized them, artists have immortalised them on canvas & the latest digital cameras, have captured the beauty of our eyes for posterity. The one thing that has fascinated us for generations, are sunglasses. From Nero spectating gladiator fights through polished gemstones and Chinese judges of old, hiding behind smoky quartz that was finely polished, to the aviators worn by American pilots & adorned the faces of numerous celebrities. We have all loved to hide our eyes from the sun, the elements, the odd looks and glances & have made sunglasses an unavoidable part of our life. As a utility item meant for protection, sunglasses have turned into a fashion statement & people who wear them will undeniably swear by them too. They’re just too cool! For leading brands like Oakley, Ray-Ban, Maui Jim, Serengeti and the rest, utility & fashion go hand in hand, with something for everyone. The technology & innovation has evolved to bring newer styles, newer frames & lenses of impeccable quality and strength. To talk about the latest trending our sight of vision there is quite the selection. A retro look from the 50’s with the perfect strength to weight ratio of their unique C-5 alloy frame makes this the most comfortable & iconically designed. Oakleys’ Plutonite, HDPolarized & the Iridium lenses add more to the obvious. The perfect gift for your eyes. O Matter frames, Three point fits, multiple interchangeable pads, HD optics & a complement of Oakley’s unique lenses for all seasons & environments. What better gift than that. 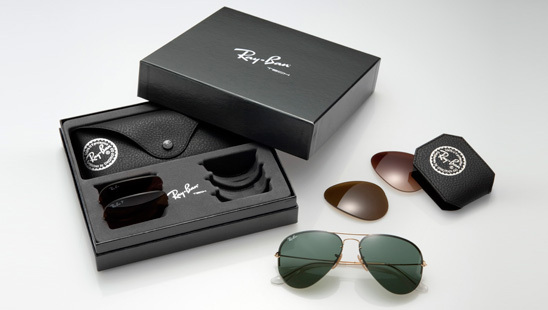 Flip Outs are the latest from Ray-Ban, with styles like Aviator, Caravan & Kaleidoscope. They offer a great and vibrant look that’s stronger and lighter & more durable all thanks to Light Ray Technology. Ambermatic from Ray Ban takes a twist from the 70’s and gives your eyes a real taste for truly enjoying everything under the sun. The light & weather adjusting technology behind this remarkable remake won’t let you miss a thing. 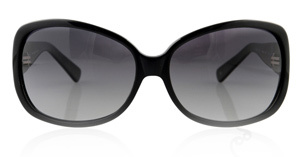 MauiFlex & MauiPure, the newest from Maui Jim, remember your fit, offering more comfort & more flexibility. Its patented PolarisedPlus2 Tech stands out among the young crowd. Be it a beach or the street, these are the best for anything outdoor. One of the greatest gifts from the Italians is their love for fashion & no one knows it better than Serengeti. 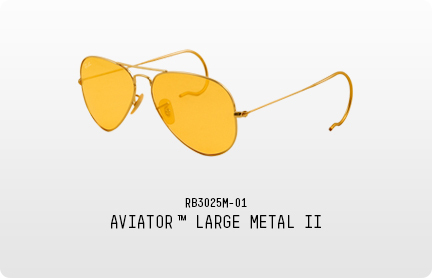 The true pioneers of photochromic technology are effectively fashionable, yet uniquely different. The collection & lenses are the ultimate in experience that range like driving to walking through fields of colours. The unique journey of life and it’s experiences are seen through our eyes. Sunglasses with all their innovation & technology, helps us experience them through multi-faceted lenses, durable & light-weight frames and with designs & shapes for everyone. Sunglasses are truly a way of life.